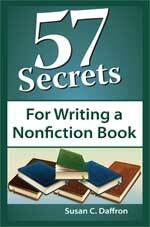 NOTE: The 57 Secrets series is no longer in print. Have you ever wondered why some entrepreneurs seem to have “all the answers” in business while some people constantly struggle to scrape by? When asked, almost all successful business owners say a key reason for their success is their commitment to learning. Business is changing faster than ever before and successful business owners know they need to educate themselves to keep up. But today’s hard-working entrepreneurs may not have time to read a long treatise on a given topic. The 57 Secrets books give busy entrepreneurs the best and most useful secrets, tips, and advice about a given topic. These easy-to-read books are written by expert authors for small business owners on the go. Instead of focusing on pages of theory, the books are action-oriented with specific strategies and techniques you can use right away. 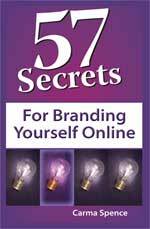 The 57 Secrets books help you take useful steps to move your business forward. Each secret in the book is one or two pages filled with practical advice on a specific topic. Whether it’s figuring out how jumpstart your writing, edit photos for your Web site, or select the right colors for your logo, you’ll find a book filled with secrets that can help you. 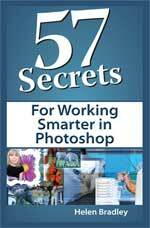 The 57 Secrets books are conveniently sized and have a reader-friendly format, so you don’t have to set aside weeks to read them. Instead of trying to absorb information from time-consuming courses or massive tomes, you can flip right to the information you need when you need it. If you are committed to learning new ways to improve your business, but you don’t have time to wade through volumes of information with little practical advice, you’ll love the 57 Secrets series of books!